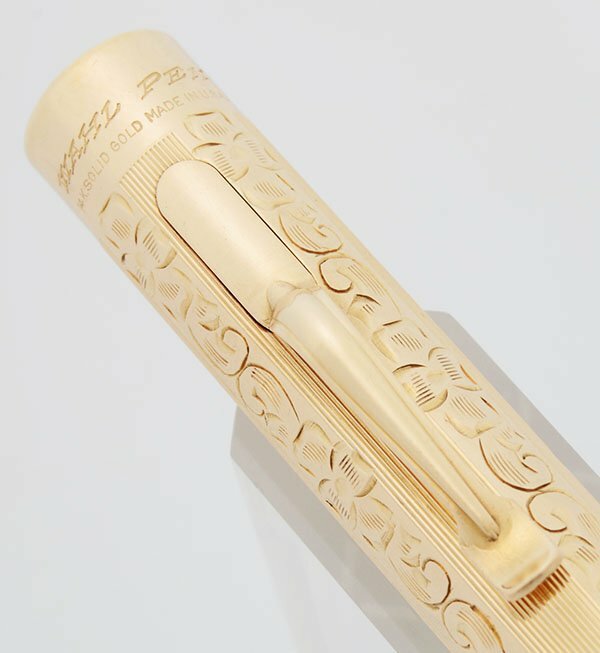 Vintage 1920s Wahl #2 fountain pen in solid gold. 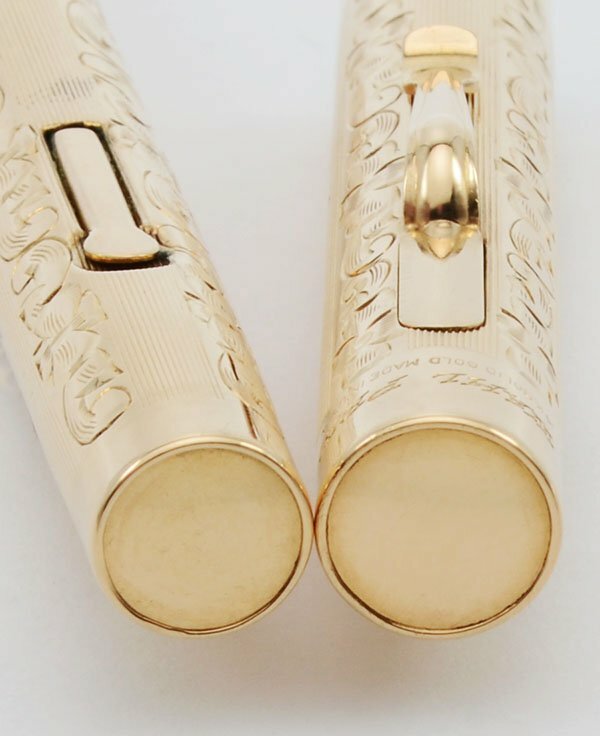 Engraved with a floral pattern alternating with fine lines. 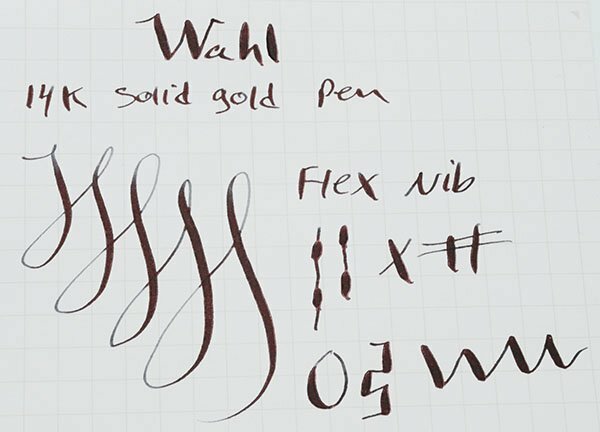 Flexible fine 14k Wahl #2 nib. Superior condition and the pen is fully restored. It has been personalized on the barrel. 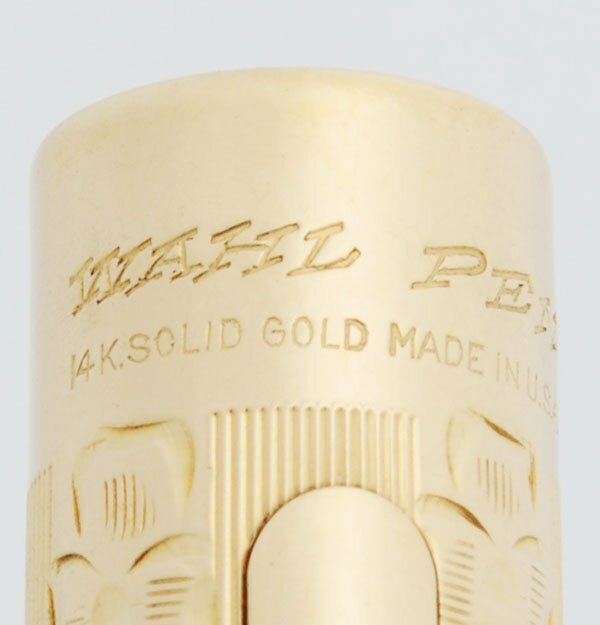 Product Name Wahl Pen, we call it Wahl #2 - the nib is marked "Wahl #2." Manufacturer and Year Wahl, USA -- 1921-29. 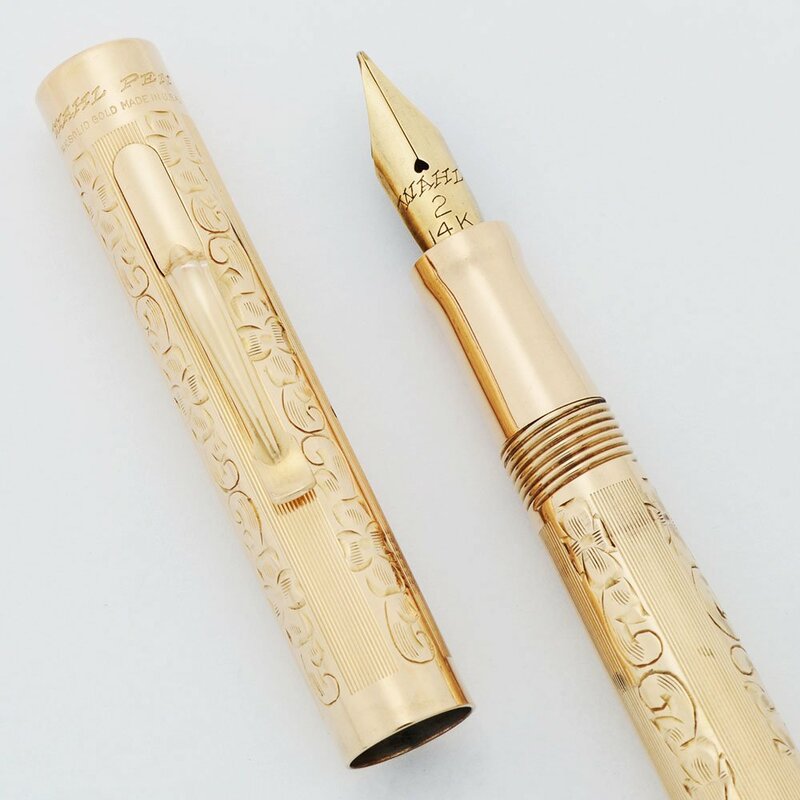 Length The fountain pen measures 4-7/8"
Filling System The fountain pen is a lever filer. A new sac has been installed and it is working well. 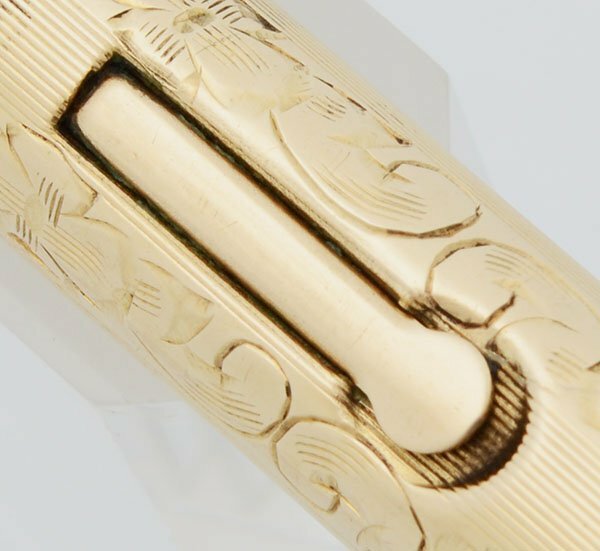 Nib FINE FLEXIBLE 14k Wahl #2 nib with strong line variation. We consider it fully flexible. Please see the writing sample below. Condition Superior condition with no dents or dings. 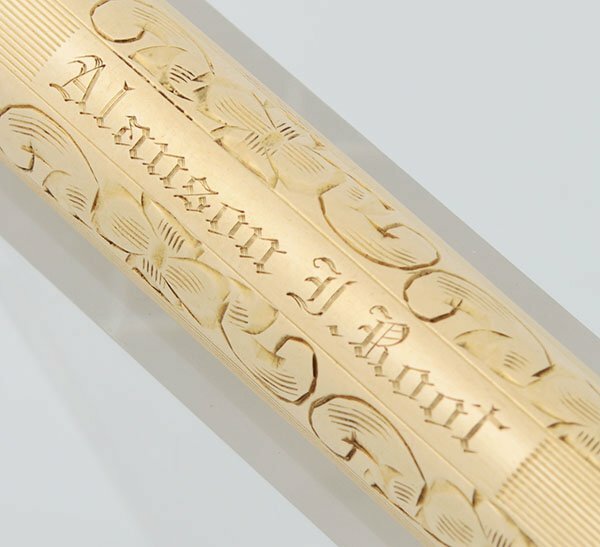 Personalized "Alanson Root" on the barrel.